Ms. Rettenmier joined Accelerator Life Science Partners in 2017 after more than 30 years of working closely with the finance and operations teams of numerous technology companies in the Pacific Northwest. As Controller, Ms. Rettenmier focuses on financial operations, reporting, and internal control functions for Accelerator and for each of its portfolio companies. Prior to joining Accelerator, Ms. Rettenmier served in senior financial roles and as a senior consultant to a number of technology and manufacturing companies, including Phytelligence, Camp Native, and Key Computer Systems, where she focused on accounting, finance, business operations, and fundraising support. Prior to these roles, Ms. Rettenmier served as Director of Accounting at Immunex Corporation (Nasdaq: IMNX), where she supported the biotechnology company’s Initial Public Offering and several subsequent M&A transactions valued in excess of $360 million. 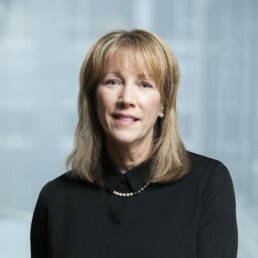 During her time at Immunex, Ms. Rettenmier supported the organization’s growth from 75 to more than 1,000 employees (worldwide), and helped the company to transition into a fully integrated, commercial biopharmaceutical company that was later acquired by Amgen for $16 billion in 2001. Ms. Rettenmier began her professional career in Audit at Coopers & Lybrand in Seattle, WA. At Coopers & Lybrand, Ms. Rettenmier specialized in M&A transactions, supporting the $67.3 million takeover of The Federated Group by Atari and the consolidation of more than two dozen limited partnerships into Arctic Alaska Fisheries Corporation. Ms. Rettenmier holds a B.S in Accounting and Finance from Washington State University and was previously a Certified Public Accountant.